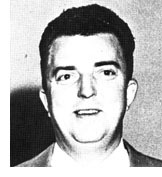 Marv Hamilton, an outstanding basketball player and baseball pitcher, was instrumental in developing the Caterpillar basketball program into a nationally respected one. He was also one of the Founders of the famed National Industrial Basketball League in which Caterpillar performed for so many years. His work as the Employee's Activity Director at Caterpillar also resulted in the establishment of one of the most versatile corporate recreational and sports programs in the nation. 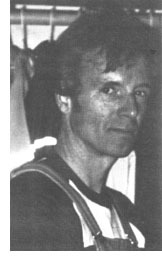 Hamilton was an outstanding player-coach of the Caterpillar teams and paved the foundation for the five national AAU titles and the Olympic competition which were to follow his tenure. He perfected the two-hand set shot and was the leading scorer on the early Caterpillar teams. He also was responsible for the recruitment of some of Caterpillar's finest basketball players. He was also one of the finest semi-pro pitchers in Central Illinois history. He won 45 of 56 decisions for Caterpillar in the Sunday Morning League from 1942 to 1947, and he posted a brilliant 32-4 over all record in the 1943-44-45 seasons.